While some brands have been using Vine for well over a year, the automotive category seems to be picking up steam with the 6-second social videos. 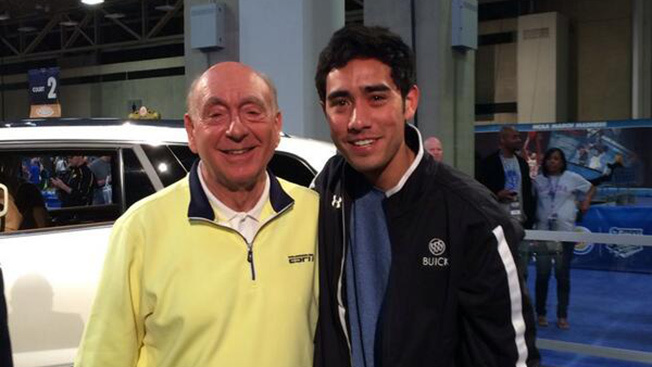 Buick recently enlisted Vine star Zach King (1.1 million followers), while Ford teamed up with Rudy Mancuso (4 million followers). Half of Buick's 10 posts garnered more than 1,000 revines (for the uninitiated, those are like retweets on Twitter), while the top performer accrued an impressive 23,700 revines and 43,700 likes. King's creations were posted on Buick's Vine account, which has a modest 7,000 followers. "We are trying to connect with a new audience and extend brand awareness," Nick Richards, manager for the Buick communications team, told Adweek. "It's all about creative work. The biggest challenge we have with this brand is what we call false familiarity. That's when have the wrong idea of what the brand means and are not familiar with the products we have today." With first-quarter global sales up 14 percent, Buick seems to be correcting that false familiarity. Ford took an opposite approach when it came to where it placed its Vine. The automaker had Mancuso post his work via his personal Vine account, attempting to take advantage of his enormous following. The brand then revined the spot to its 25,000 followers. The strategy worked well, picking up 87,600 revines and 179,700 likes. The arrangement appeared to be a one-off. So how much do these relationships cost brands? "Typically, we see engagements with Internet celebrities of this nature ranging between $25,000 and $100,000 depending on the size of the audience, content requirements and activity of the fan base," said Ted Murphy, CEO of social media brand Izea. "The key to sponsored social pricing is to match the right creator with the right brand. High-quality brands that are willing to give social media content creators freedom when producing sponsored content are often able to realize pricing efficiency and drive more value for their sponsorship dollar."